LANGLEY, BC – Dead Frog Brewery has announced the upcoming release of this year’s vintage of an annual winter favourite. 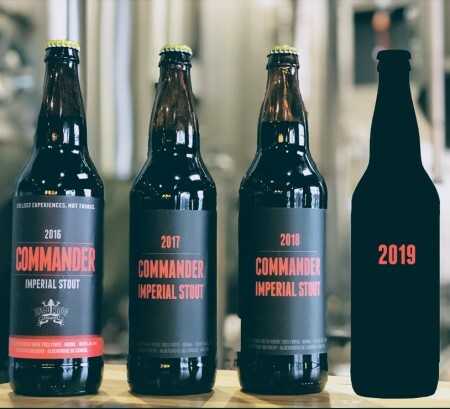 Commander 2019 will be released in the Dead Frog tasting room on Thursday January 24th, with a launch event starting at 6:00 PM. The new vintage will be available in 650 ml bottles and on tap for pints and growler fills, as well as in a special cask edition. Several past vintages will also be available in limited quantities.